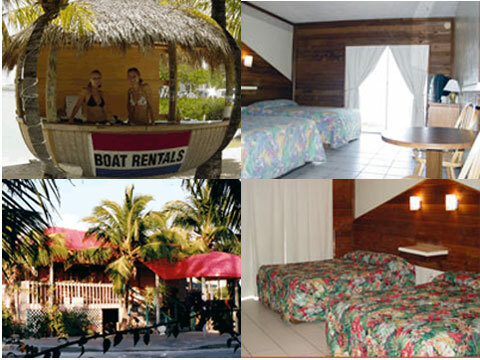 Key West Motel, Key West Lodging, Inn, and Resort The Blue Lagoon Resort Discover The Treasure of the Keys! The Blue Lagoon Resort has much to offer the Key West Vacationer. Gulf front sunrise views, freshwater pool, Parasailing, Waverunners, Restaurant and Bar, and Fun in the Sun. You don't even have to leave your Key West Resort - we have everything you could possibly need to have a wonderful vacation. We are conveniently located on North Roosevelt, right on the Gulf Side, right when you're coming into Key West. Find out why people keep coming back to stay at the Blue Lagoon Resort.